This week's topic is all about the settings we would like to see in books, or see more of in books. Oftentimes I buy books because of where they take place. I'm a lover of all things travel, and I love reading about places I've been or am planning to go to in the future! It's always nice to escape the cold winter, or the hard work day with a book that sends us to an amazing place! So here we go! 1. Cruises/Ships. I love reading books that take place on ships, because you've got a whole bunch of people stuck on a ship in the middle of the ocean. Romances happen in tropical locations, creepy mysteries unfold, or insane adventures happen. 2. Underwater. I've read several mermaid books, and even a book that took place on a futuristic submarine. Authors can be so creative with this setting, because the ocean floor is so unknown. There's potential for lots of amazing world building. 3. Italy, particularly Venice or Bellagio. I love, love, LOVE Italy. And I want to go back so badly! Since I can't, though, I want a sweet romance novel that brings me back there. Anyone know of any? 4. 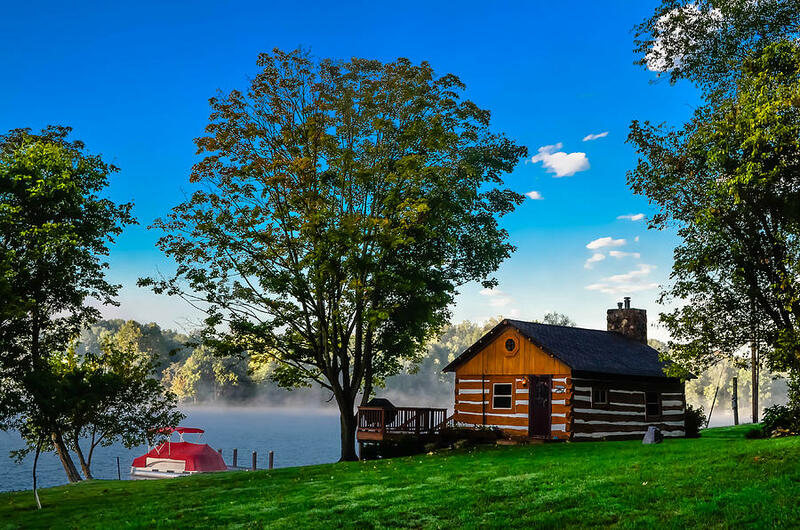 Secluded cabins/lodges on the lake. I've read a couple books that take place in cabins out in the middle of nowhere. Sometimes there's no electricity either, so people sit around the fire and reflect or get to know one another. And sometimes the blizzard is the reason why they are stuck! Love it! 5. Paris. Need I say more? Anna and the French Kiss is one of my favorites, and Just One Day just reached the top of my leaderboard. 6. New York City at Christmas. 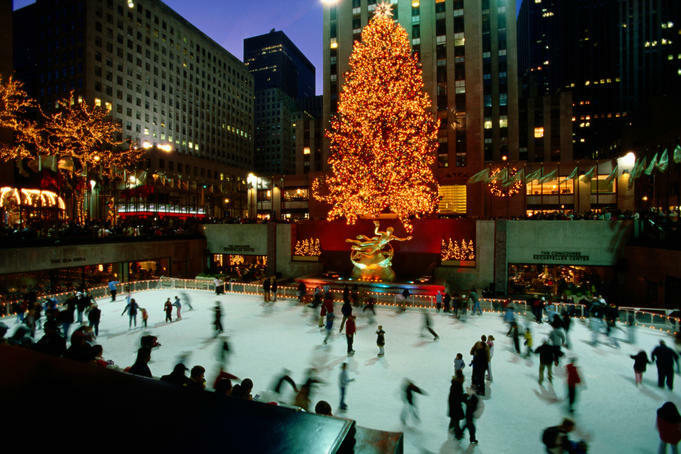 It's a magical time of year, and New York is one of the most magical places I've been at Christmas! Dash and Lily made me love this idea even more. 7. A really freezing place. So many books take places on beaches, or during the summer. I read this one book, Frost by Kate Avery Allison, and it took place in the coldest place ever. The snow and the cold winds added so much dynamism to the story. 8. Airplanes. We learned from The Statistical Probability of Love at First Sight that SO much can happen in airports and airplanes. 9. Egypt. I've never read a book that took place in Egypt, but I really want to. I love all the ancient history there. I'm already picturing a contemporary romance with a study abroad, and trips to the Pyramids. 10. Yosemite National Park. It's such a pretty area, and I think it would be the perfect setting for a fun camping trip with friends... and maybe some romance. So tell me! What are some of your favorite book settings? Do we have any in common? And honestly. Suggest some books to me if you think I need to read them! Those are all great places. Thanks for sharing. Totally agree with Italy and airplanes. I just read Statistical Probability. I want more cruises, too!! Oh my gosh, underwater settings are so cool! I'm not usually a mermaid person, but I would love to read about futuristic societies underwater. OOH or Atlantis! And hell yes to all those European settings! And secluded settings and New York! Seriously, basically your entire list rocks. Ooohh! You have pictures. I also said NYC, Underwater and exotic locations. Have you read Amy and Roger's Epic Detour? I think that take place in Yosemite - or some of it at least. Let me know if you find a book that takes place in Egypt. I want to read it too! I'd love to see a great novel in Venice. Such an awesome city with so much charm and history. Have you read Venom by Fiona Paul? It's set in renaissance Venice and the setting/scenery is absolutely stunning. Is the Linky not working for anybody else? I entered my link twice and it keeps erasing it, in fact I only see 2 blog linked up. I put underwater setting on my list too. . . I really want to see a book take place at the bottom of the ocean floor. I don't care if this has to be mermaids or super sci-fi. . . I just want it. Also, a Dystopian society with mermaids. It should be done. I've never read a book set on a cruise ship, I had no idea they existed but now I really really want to read one. What are some you like? I loved Girl at Sea by Maureen Johnson, and Decked with Holly by Marni Bates. :) Both of them are so much fun! I almost didn't do this week's TTT but when I sat down to it, I had so much fun putting together a list! Really can't disagree with any that you put down. My daughter, when i told her the list for today, yelled "in the water! More mermaid stories!" Oooh, isolated cabins...creepy!! :) Awesome list!! I also had cruises/boats on my list. I love Yosemite! I don't know of any books set there, but if you find one, let me know! I have Paris (Anna & the French Kiss) and New York (Dash & Lily) on my list too. This week's TTT was really fun. Thanks! Oh Venice, I'd love to see more books set in Italy, but Venice in particular. And I love the idea of cold places. I chose a couple for mine too - Alaska and Alert, Canada. This was such an awesome topic this week and I love the idea of a story set on a cruise ship! There are definitely not too many of those. I lived in NYC for a little while. It can be brutal at Christmas time! Granted the really bad weather is usually later in the year. One huge problem is where to put the snow. You plow the streets, the sidewalks get blocked. You shovel the sidewalk, and the streets get blocked. I really liked that you had both cruise ships and planes on your list because I had "modes of travel" on mine too! I also want books that take place on trains (which I think are romantic) or zeppelins (steampunk!) I think books that take place while people are traveling are great because they're all trapped in one space and it's enough time to get to know someone, but there's the ticking clock of the trip ending. Dear Jana, I'm afraid our "setting wishes" are completely different. Nevertheless, I like your list. I love cruises and Italy and I too think that the Yosemite National Park would be a wonderful setting for a romance! Cruise Ships and airplanes are great answers! I would have never thought of that. New York is my favorite place ever! (I have only been there once though) and I think I seek out books set there! Ooh Egypt is a good one! Didn't think of that! :D Great list! Great list! I would have never thought of putting down aeroplanes. So much could happen! You could go down the romance route or the gremlin outside the window taunting William Shatner route! If you are looking for a good series that takes place in a frozen environment, I recommend the Singers of Nevya series by Louise Marley. It was published in the 90s (it's a trilogy) and I have read it numerous times. It takes place on an ice planet where summer comes once every five years, and the source of heat and light is the psi power of singers. It's on kindle (all three books together) for 5 dollars. I'm tempted to get it myself since my poor paperbacks have been read way too many times. I've never thought about cruise ships as a potential setting for a book! Paris is on my list too, mostly because of Anna and the French Kiss. Cruise ships! What a great idea :-) I'd love to read more books set in Italy too. In terms of really freezing cold settings, The Left Hand of Darkness by Ursula le Guin is very good. It's sci-fi because it's set on another planet, but it doesn't have lots of science, gadgets, tech-speak, etc, and focusses more on the characters surviving in a really cold place. I might check out Dione's recommendation too, sounds good! I like cabins and Paris settings as well. :) I love the picture you found of a cabin! Oooo - a cruise! That sounds fun! And, the underwater one too! I had Paris and Italy in general! Great list! Cruise Ships! Great idea. I don't remember reading anything set on a cruise ship. 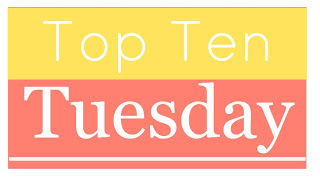 Great idea for Top Ten Tuesday. I too want more books on cruise ships and airports! Those settings have so much potential! Paris is one of my picks too. I am seriously seeing ships/at sea on so many lists! Someone needs to fulfill this, because clearly it's something we'd read. I also love Paris. I haven't read Just One Day yet, but I'm sure it'll make me fall in love with the city even more. Underwater and NYC at Christmas are great ideas for settings. And Italy is one of my favorites too. We have some similar choices!! I want to see more mermaids/undersea settings, too. Post coming shortly. Airplane is a great one - loved the statistical probability! & ships/cruises is awesome as well - i dont think i have read a book with that theme. What great settings you picked J! I particularly love that you chose Egypt as that's on my list as well. All of these places get a thumbs up from me though. Yay for underwater and frozen - I want more of those too! Cruise ships is an awesome idea! Venom by Fiona Paul is set in Renaissance Venice, and The Pharaoh's Secret by Marissa Moss is a really good middle grade read set in present-day Egypt with some time travel elements. I've never thought of cruise ships! That could be a lot of fun to explore. Wow, those are all really cool settings! I love the ship/cruise idea but also the lots and egypt...that would be so freaking amazing!!! I totally agree on the New York and cabin in the woods settings. I didn't think of airplanes. For Egypt I would suggest The English Patient by Michael Ondaatje. A book written so beautifully I wanted to read it out loud. I too am addicted to stories that take place in Italy and now recently Paris! It's almost not Tuesday anymore here, but I feel it still counts! Mmm, Italy. Now there's a country I could stand to read more about. New York at Christmas; I love it. New York City at Christmas time? A cruise would be a great setting, mostly because you have nowhere to go. Egypt and Rome ended up on my list too. I totally agree about books set underwater. Great picks! I love the idea of a crusie ship and egypt! But I really need a cabin story in my life asap! For a freezing place, try The Left Hand of Darkness by Ursula K. Le Guin. It won both the Hugo and Nebula Awards for best novel. Wikipedia says it's one of the "first major works of feminist science fiction." The secluded cabin idea FREAKS me out... probably because it's how so many horror movies start, lol. I love the cruise ship setting! I've read a lot of romance novels set on cruises/ships but apart from Maureen Johnson's Girl at Sea I haven't read any YA. Have you read Stork by Wendy Delsol? It's the first in a trilogy (all of them good) and as a series it includes a lot of what you're looking for: freezing cold climate (Minnesota, mythical ice country complete with an Ice Queen, and Iceland) and part of it takes place under water (Nordic mermaids). Also there's romance. It's awesome. Also, I know that the second book in Susan Dennard's Something Strange and Deadly series is going to be set in Egypt. I also love books set in Egypt! I recommend Cleopatra's Moon by Vicky Alvear Shecter (YA) or books by Michelle Moran (adult).